Get your rocking gifts and rewards! Killer offers everyday until the 24th December 2018! The festive month is always reason for celebration, be it in our normal lives or at online casinos. 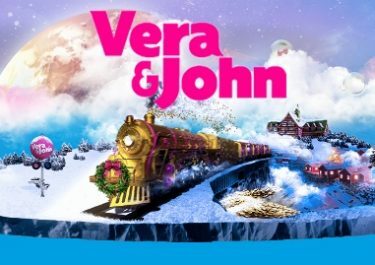 Players can look forward to some of the best promotions in a year as the casinos generously spread extra rewards and presents in the spirit of Christmas. 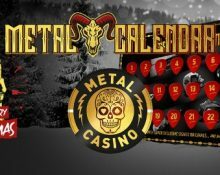 Metal Casino is starting the countdown to Christmas with a daily calendar, promising killer offers everyday. Deposit minimum €20 to be entered in to the random draw for one Epiphone 335 Honeyburst guitar played by Swedish rock god, Dregen. A winner will be picked at random from all qualified players and will be announced on the following Thursday during the Metal Casino Live Stream. 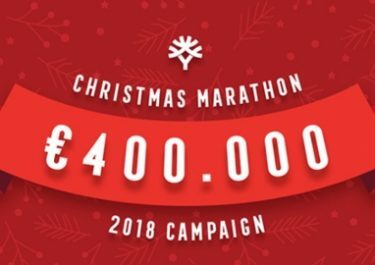 Deposit €30 – €49 | €50 – €99 | €100+ to instantly get 30 | 60 | 130 bonus spins on Flowers Christmas Edition. Wagering requirement is 45x winnings from the bonus spins within seven days with withdrawals capped at €1,000 per batch. Deposit minimum €20 to be entered in to the random draw for one Jackson bass guitar played by David Ellefson. 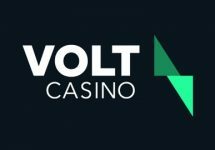 A winner will be picked at random from all qualified players and will be announced on the following Thursday during the Metal Casino Live Stream. Deposit minimum €20 to be entered in to the random draw for one ESP GH-600NT signature Guitar from Gary Holt. A winner will be picked at random from all qualified players and will be announced on the following Thursday during the Metal Casino Live Stream. Deposit minimum €20 to be entered in to the random draw for one Jackson King V guitar signed by Scott Ian. 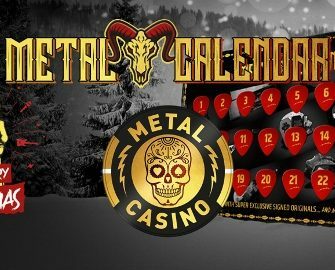 A winner will be picked at random from all qualified players and will be announced on the following Thursday during the Metal Casino Live Stream.